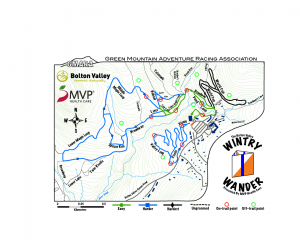 2014 marked the creation of a new event for GMARA: the Bolton Valley Wintry Wander! 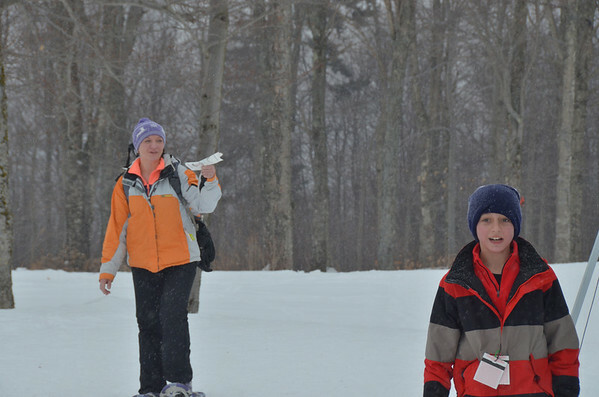 More than seventy-five people showed up for a a three hour snowshoe exploration adventure. 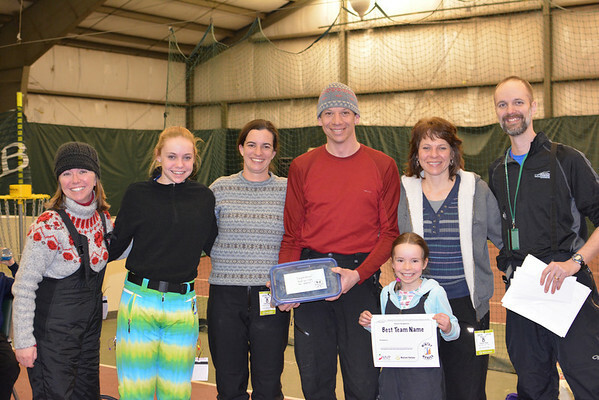 Generous support from MVP Health Care and Bolton Valley Resort made this possible. The event began with teams showing up between 8:45 and 9:30 a.m. to register, get a trail pass, and receive their team passport. It was wonderful to see all the children so excited to go hunt for checkpoints! 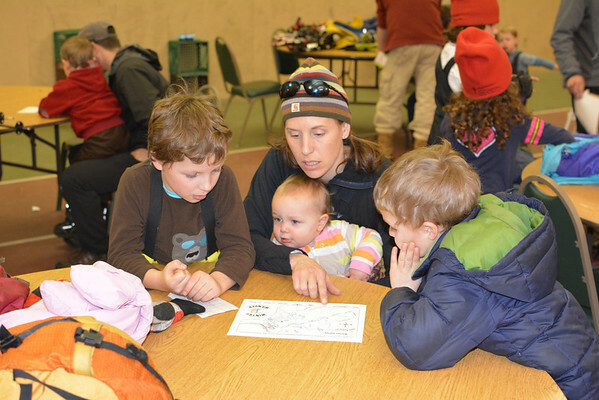 At 9:30 the teams received instructions on how the Wintry Wander would work, and then had a chance to review their maps. This was their first opportunity to see where they’d actually be going. They had about fifteen minutes to plan their route before needing to head out to the start. The map featured eleven points found on the side of a trail and seven points that required snowshoeing off-trail. There was no required order; teams could try to get as many or as few as they wanted to. Every team found at least a few and a couple teams managed to get them all. You can check out the detailed map here. 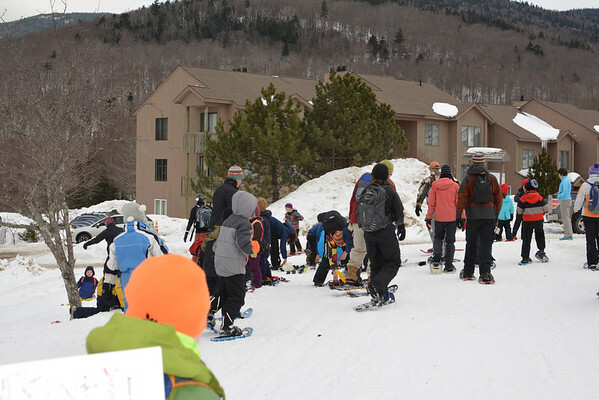 Just before the Wintry Wander began there was a flutter of activity as many teams fought valiantly with dozens of snowshoes. The snowshoes clearly had a mind of their own, attempting to thwart teams before they even began. 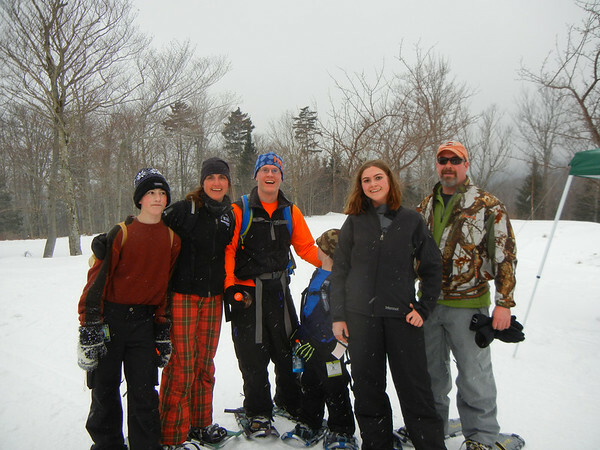 The teams proved triumphant, and the snowshoes were eventually all tamed. Teams made different navigation choices from the very beginning. A majority headed north but several teams headed south toward Picnic Loop and the points in that direction. Teams then spent several hours on- and off-trail searching for checkpoint flags and punching their passport. It was a wondrously warm day which meant many teams could take almost the full three hours to explore the course. 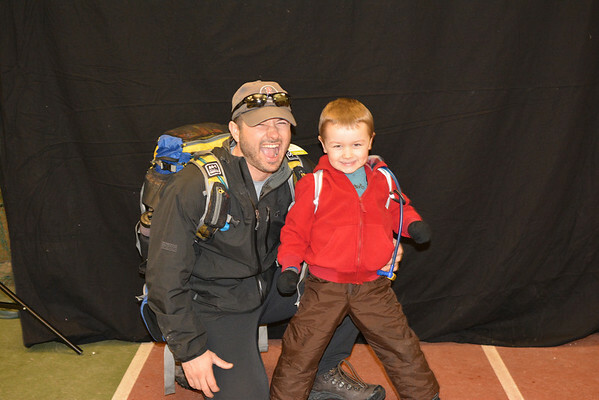 When teams returned to the finish they handed in their passport and told wonderful stories of always-happy children, never-failing snowshoes, and always easy-to-find checkpoints. 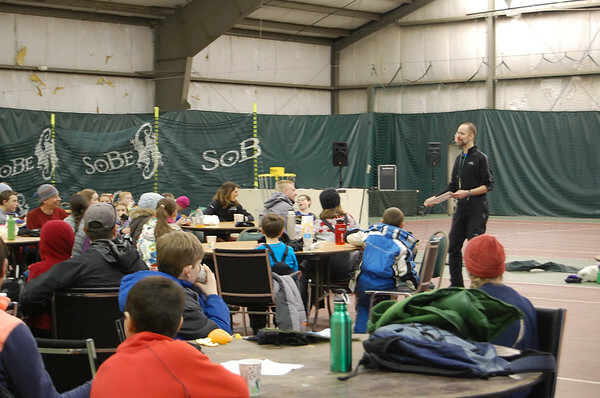 Well, perhaps not every team told stories exactly like that…but every team had a good time! 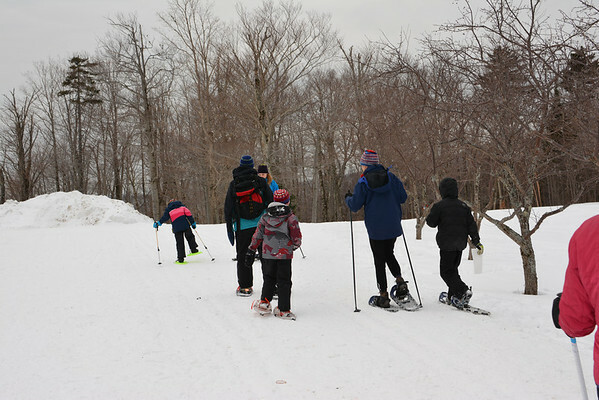 Every team should feel a sense of accomplishment based on their snowy adventure (particularly the adults that carried or pulled children through the whole event!) For those interested in the details, full results can be found at the bottom of this post. We encourage you to also check out all the event photos. 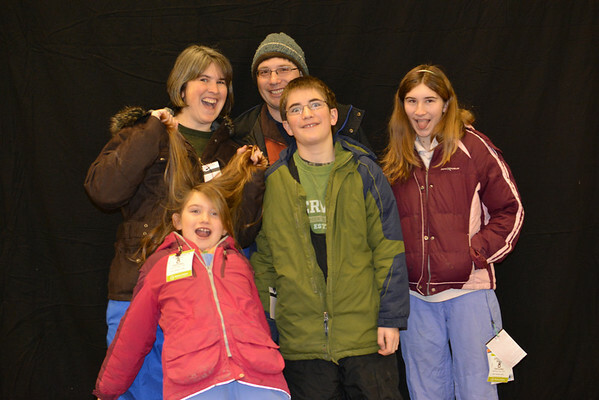 We all hope to see you again at next year’s Wintry Wander! Laurie, for continuing to provide homemade cookies to the winners of Best Team Name at GMARA events. Yum! A huge thanks to our sponsors – let them know you appreciate their support! MVP Health Care for the financial support that makes it possible for these races to happen.